In late 2007, MIT and the Cyprus Institute (CyI) launched a research and educational collaboration between energy, environment, and water programs at the two institutions. Since then, the initial joint research projects have made substantial progress, new ones have begun, and five postdocs funded by CyI have come to MIT to participate in the research. MIT is collaborating on projects through its Cyprus Institute Program for Energy, Environment, and Water Resources (CEEW), which is directed by Marks and housed within MIT’s Laboratory for Energy and the Environment (LFEE). The LFEE cooperated in the development of CyI’s Energy, Environment, and Water Research Center (EEWRC). Since its formal inauguration in December 2007, MIT and CyI researchers have been working together on initiatives of importance to the Mediterranean island nation and the region. Cyprus faces serious shortages of both drinking water and energy – and the nation uses fossil fuels to power water desalination, so the two problems are intertwined. A major joint research project has therefore been investigating the use of concentrated solar power to produce both electricity and desalinated seawater. Analysis has shown that this novel cogeneration concept is technologically viable and economically sustainable in Cyprus. Among the concepts coming out of this work are an innovative storage system, installation of heliostats on hillsides, and an advanced-design desalination system. The government of Cyprus has endorsed this project and will provide funds for the construction of a prototype desalination unit that will be driven by solar-thermal power. Meanwhile, the major climate change study launched at the EEWRC inauguration continues to make progress and gain attention. Changes in climate conditions are expected to be particularly severe in the Eastern Mediterranean and North Africa, with increased temperatures and temperature extremes, decreased precipitation, and shifts in vegetation. Coordinated by CyI, an international group of scientists is clarifying potential changes and exploring political and economic implications and possible new adaptation strategies. A key contribution from MIT is expertise in the integrated assessment of economic and environmental change, as implemented by the Integrated Global System Modeling framework, a comprehensive mathematical tool for analyzing global climate change and its social, economic, and environmental consequences. A vital element in the CyI and MIT collaboration is having postdocs from Cyprus spend two years as postdoctoral associates at the MIT Energy Initiative (MITEI). The most recent “Cyprus Fellows” arrived on campus in fall 2010. Anastassios Mavrokefalos, who holds a PhD from the University of Texas, is working with Gang Chen, the Carl Richard Soderberg Professor of Power Engineering. Much of his research focuses on creating nanoscale pyramid structures on the surfaces of crystalline silicon photovoltaic (PV) devices to increase solar optical absorption. He has developed a procedure to fabricate such structures on crystalline silicon thin films based on cleanroom microfabrication techniques. Optical measurements show that his novel thin films that are only a few microns thick can absorb as much solar energy as can traditional cells that are 100–300 microns thick. Half the cost of current crystalline silicon PV modules comes from the silicon material used, so reducing the silicon required will bring a corresponding reduction in the cost of PV modules. Panagiotis Parpas, who earned his PhD from Imperial College, London, is collaborating with Mort Webster, assistant professor in MIT’s Engineering Systems Division. Today’s engineered energy systems – for example, electric power grids and transportation systems – are extremely complex, in part due to recent advances in science and technology (distributed power generation, vehicle-to-grid systems, smart metering systems, and so on) as well as societal changes such as electric power deregulation and expanded use of renewable energy sources. Energy models must include a mix of economics, technology, and engineering, and as a result they are composed of many heterogeneous subsystems that have dynamics that evolve on different temporal and spatial scales. Parpas is developing simulation and control algorithms for such integrated multi-scale models so as to make possible the computation of optimal system designs, which will inform engineering and policymaking at different scales. 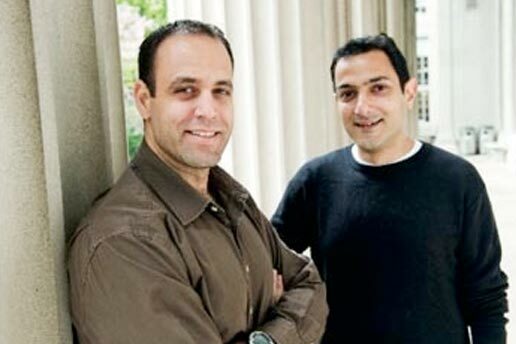 Previous Cyprus Fellows have worked on computational problems relating to carbon sequestration, the impacts of climate change on water management in the Mediterranean Basin, and concentrated solar energy technologies for simultaneously generating electricity and powering seawater desalination. According to Marks, the program is designed “not just to increase [the fellows’] research abilities, but also to bring them into the world network, give them visibility, and get them started on projects that’ll extend beyond the two years that they’re fellows here.” After their time at MIT, the fellows are expected to continue their research at CyI. The MIT-CyI program was initiated by Ernest J. Moniz, the Cecil and Ida Green Professor of Physics and Engineering Systems at MIT and director of MITEI, and his friend and former MIT physics PhD student Costas Papanicolas, who is now president of CyI. CyI was formally established in 2005 as a major research-based science and technology educational and research institution that would play an important regional role. Its research focuses on three areas: science and technology of archaeology; high-performance computation; and energy, environment, and water resources. CyI researchers are now working on about a dozen projects in each of those areas with colleagues from world-class international research, academic, and governmental institutions. This article first appeared in the Spring 2011 issue of Energy Futures, the magazine of the MIT Energy Initiative.